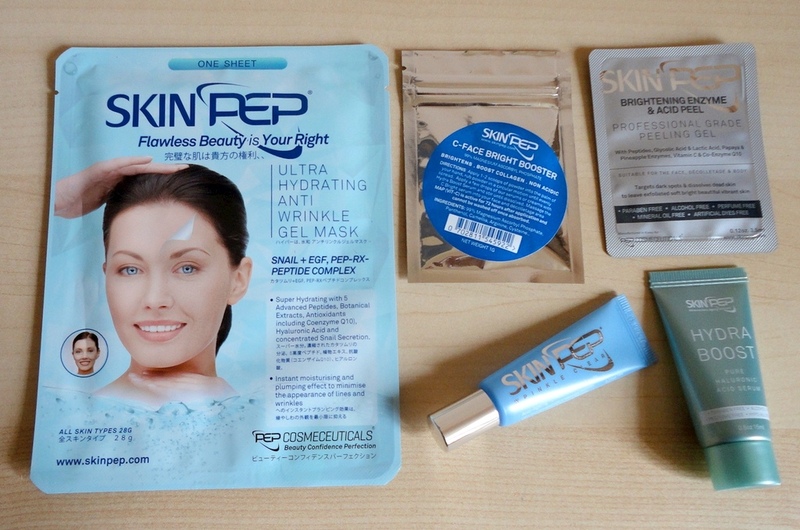 The first thing that struck me about this 7-Day skin care package is how small the products seemed, basically samples. However, to my amazement, they lasted me well over two weeks using them at the recommended frequency of twice a day. I did not skimp, it's just that you get a lot more than you think! This skin renewal pack was proposed to me for testing, and without any pressure to review, however, at the end of my evaluation period, I am happy to say that I found the products very effective and easy to use. My mother was an aesthetician and she taught me early to take care of my skin. I have been following a regular routine and using the best skin care I can afford, not always the most expensive, but the most effective. So for me, effective skin care is anything that works as well as (or better than) whatever I was using before. Normally one week is not enough to see any significant difference, however, I found that for me the main promises of this pack were amply fulfilled, i.e. to reawaken my skin and refresh its texture and colouring. I hesitate to say “glow” because at my age (62), that might sound ridiculous. However, my husband noticed an improvement in my face, and that's good enough for me. This 7-day plan appealed to me because it is logically organized. 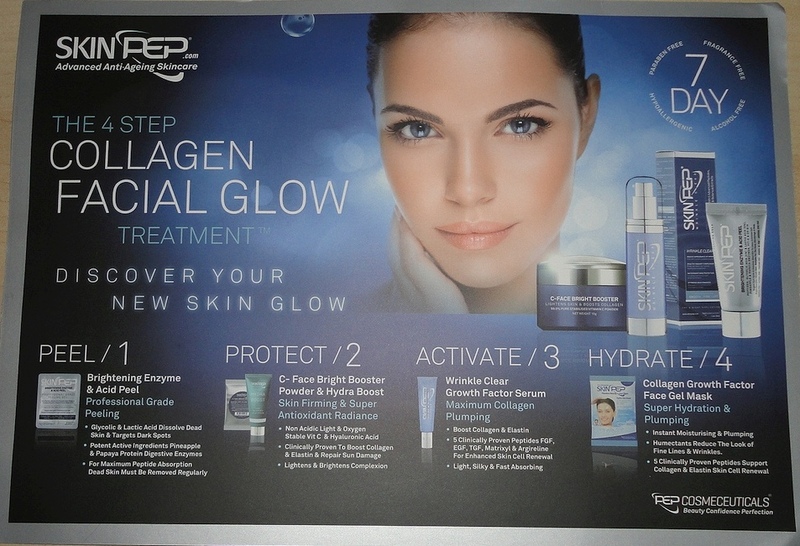 Step 1 is a very safe chemical peel. It comes in a sealed little pouch and there is enough for two treatments. You apply it, massage with your fingertips, leave it for a couple of minutes, massage again and rinse off. Unlike some similar products, this preparation left my skin fresh without the slightest sign of irritation. I used it on the 1st and 4th days of the first week. Step 2 is a bit different: In another small pouch, you will find a white powder, basically Vitamin C in a form that your skin can absorb (I decanted this into a small, clean jar so I could seal it). You place two scoops in the palm of your hand (a tiny measuring scoop is included), then add a few drops of the Hydra Boost serum (hyaluronic acid), mix it well and apply it to your face. Despite having sensitive skin, I was able to put this mixture all over my face, including the delicate area under my eyes. Since I have dark shadows there, it was important to me to be able to treat this area. The mixture is quite watery and almost odourless, very easy to spread. Step 4 is a single-use Gel Mask. It consists of a thick, slippery, preformed sheet in two pieces; the top part has holes cut out for your eyes, and the bottom bit has a gap for your mouth. You press this film well over your face and leave it for 40 minutes. This is one of the least messy types of masks I have ever used. There is an optional step: you put a little hot water (it needs to be boiling hot, not just tap hot) in a cup, melt the pieces of mask you have just removed from your face, and apply the resulting gel to your face again, leaving it to dry. Then rinse off with warm water and pat dry. So, essentially, you only need to do Steps 2 and 3 twice a day, the peel twice during the week and the mask once. All these concentrated treatments are meant to remove the top layer of dead skin and push hyaluronic acid and collagen into your skin surface. I followed the twice-daily Steps 2 and 3 with my usual moisturizing creams and noticed that they seemed to take less time to get absorbed. After the two weeks, my skin tone was lighter and my cheeks and jawline a bit tighter. Noticeable because, at this time of year, I generally have a tan and now my face is quite a bit lighter than the rest of me and not as dry as usual. So I did not see a sudden, miraculous change, but my face re-emerged fresher and more relaxed. A friend asked me if I had been on holiday! Everyone is different, but if you have been neglecting your skin, this easy to follow plan may well make a significant difference to your complexion. I cannot say enough about the mask in particular. It felt wonderful and I could certainly see a beautiful difference when I washed it off. This same skin care plan is available in 14- and 30-day packs, this last one for the same price as one jar of some big-name day cream.